Prime Minister Voreqe Bainimarama has turned down a proposal by the Chinese government to originate flights from anywhere in China to Nadi. A statement from the Department of Information states that the Chinese government is proposing an agreement that would have the effect of steering business away from Fiji Airways. It says the Prime Minister did not agree to the plan. The Chinese Government has earlier this month presented an MOU to Fiji on the proposal, which also included a provision allowing Chinese airlines to make at least three intermediate stops along the way, as well as points beyond. Currently, Fiji Airways flies the Nadi to Hong Kong route, three times a week. The statement says, the airline has made substantial investments in the route to make it viable from a business perspective. It adds, China’s huge passenger capacity and its ability to undercut the fares of Fiji Airways would lure fliers away from Fiji Airways and cause a negative effect on the airline. 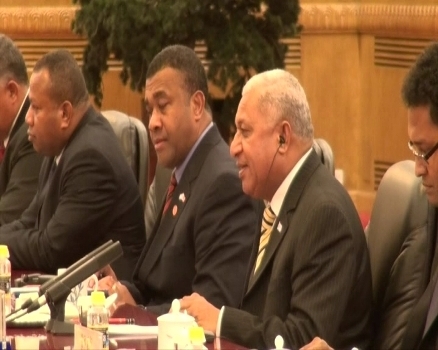 The Prime Minister however called for the implementation of the Air Services Agreement between Fiji and China, which will open a Nadi-Beijing route for both countries with a code sharing arrangement.